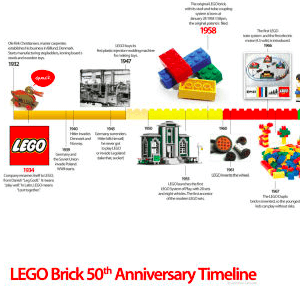 The Lego brick system was patented 50 years ago today. Gizmodo offers this timeline. 28 Jan 2008 in Aesthetics, Business, Design, History, PopCult, Technology, Usability.